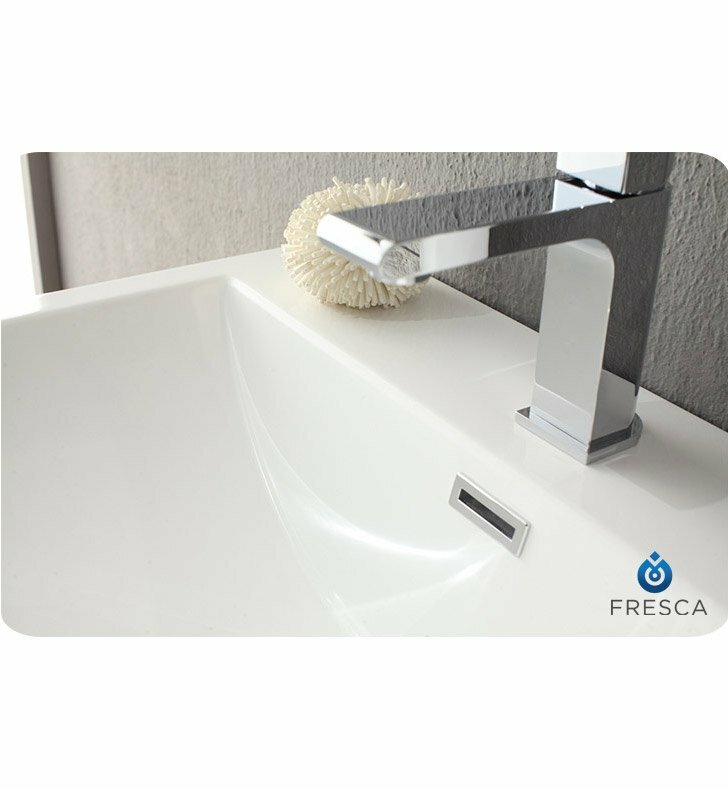 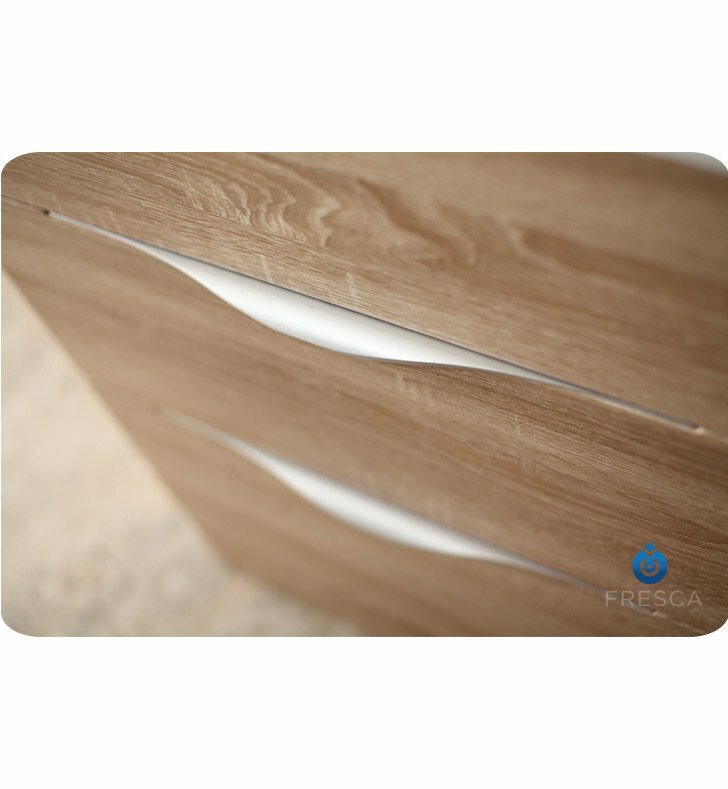 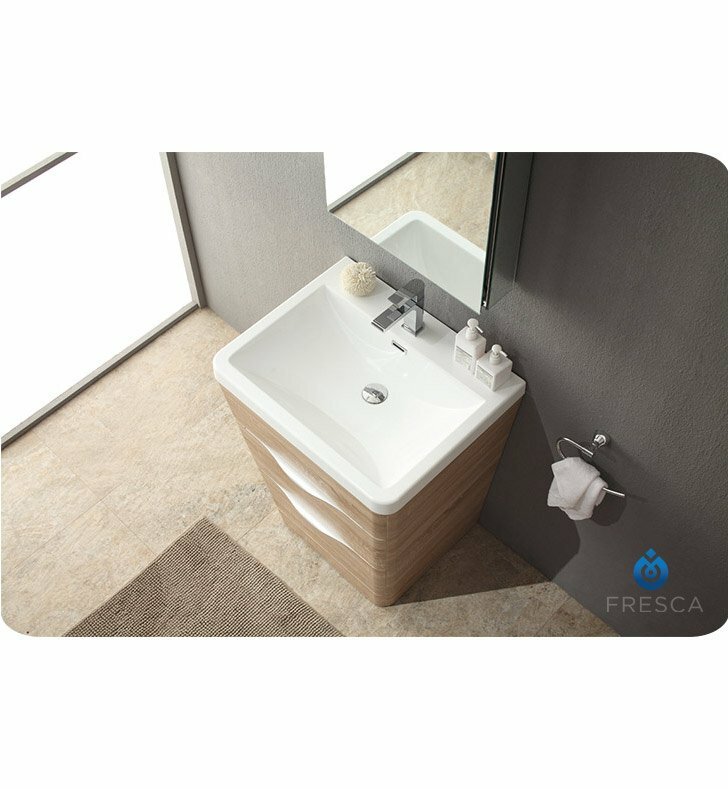 The strikingly modern design of the Fresca Milano 25" Modern Bathroom Vanity gives you functional yet stylish storage for your bathroom or powder room. 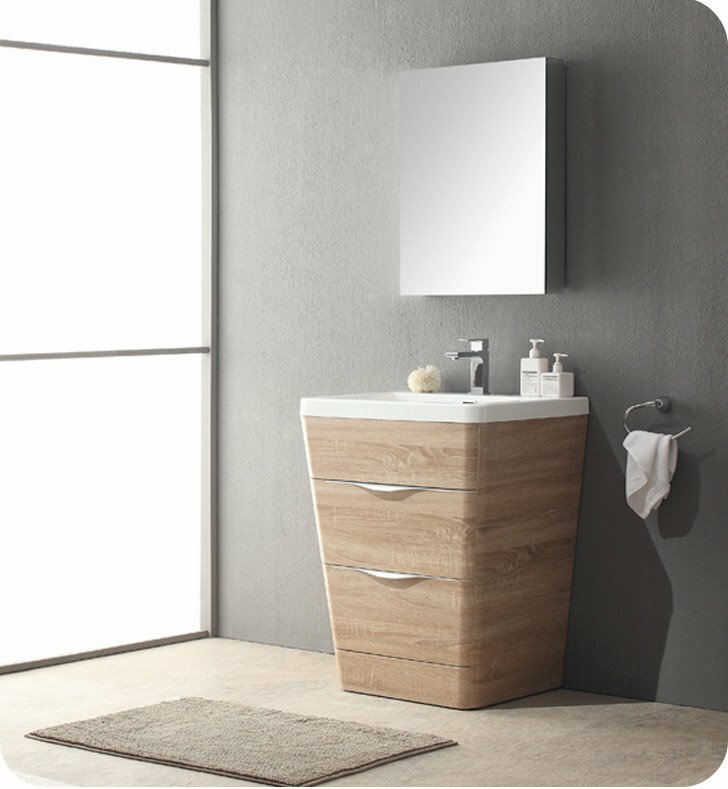 This contemporary free standing bathroom vanity boasts a pure white acrylic sink resting atop a man-made stone countertop, supported by an engineered wood cabinet in a warm white oak finish. 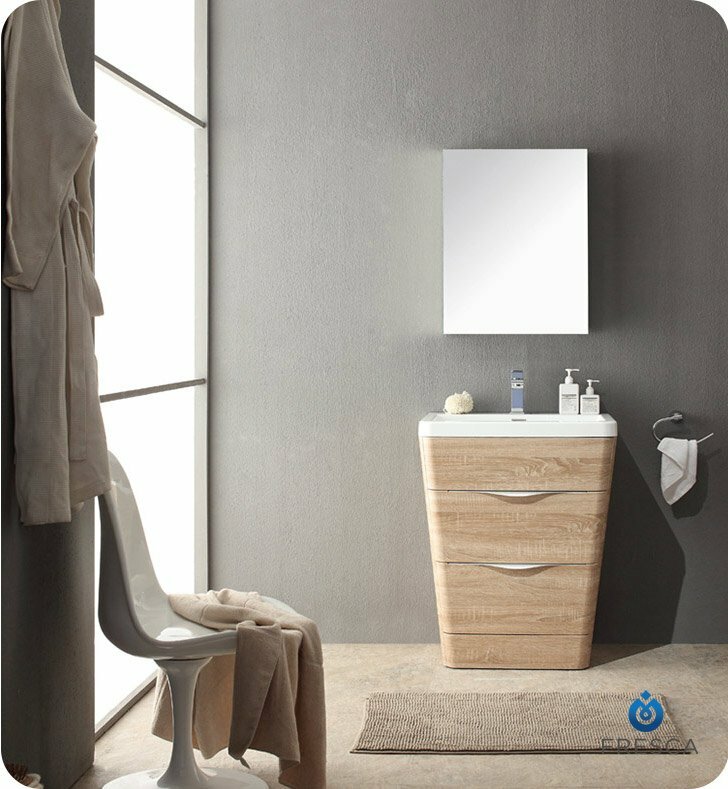 Chrome fittings enhance the look, as do the matching medicine cabinet with mirrors. 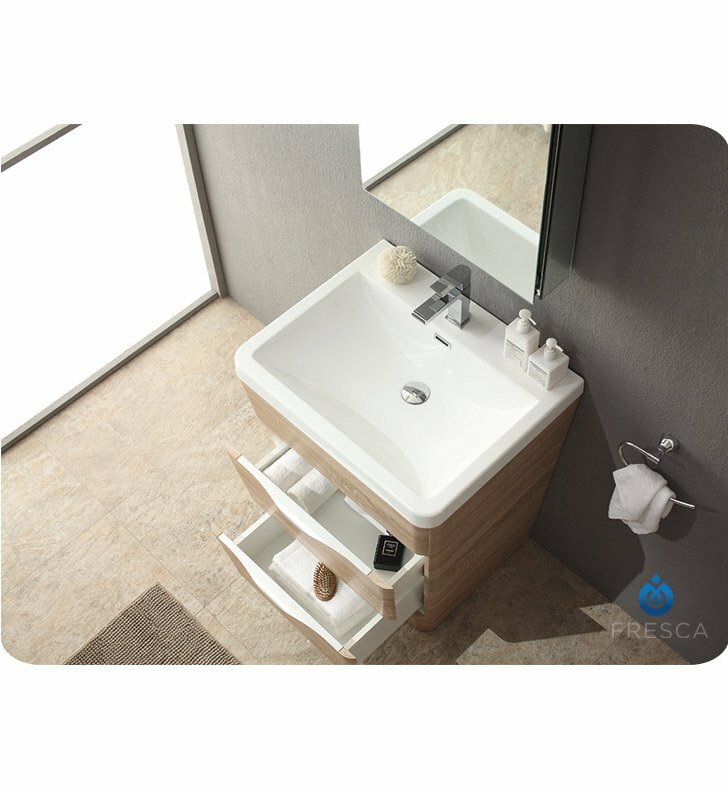 Two drawers offer maximum storage space for the bathroom essentials and your personal items.